Sempercare® vinyl is a skin-friendly alternative for people with type I and type IV allergy, because the glove is free from latex proteins and accelerant chemicals. A blend of Vinyl & Nitrile, providing superior comfort and performance, the ideal alternative to latex. The glove is powder-free and does not contain any natural latex proteins, this makes it ideal for people with type I allergy who do not want to miss the comfort of latex. The Sempercare® Nitrile Skin2 is both labelled as medical device (class 1) and Single-Use protective glove (PPE category III).Thereby it can be used for additional applications such as laboratory/pharma, food/catering, professional cleaning/hygiene. Protects users and patients from the transmission of infections, in addition to the impermeability requirements of the European standard, the gloves also fulfil the virus impermeability requirements of ASTM F 1671. 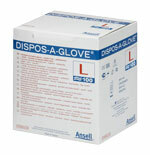 Ideal glove choice for high risk situations, suitable for use across a wide variety of non-sterile medical applications. Ultra sensitive powder free and latex free purple nitrile gloves which are medical grade single use gloves that conform to BS EN455. Protein free and are less prone to puncture compared to traditional latex and vinyl gloves. Micro-Touch® gloves are designed and engineered for a broad range of hospital staff, emergency medical technicians, healthcare facility personnel, and private practitioners seeking the protection provided by examination gloves for the variety of settings where they face challenging risks every day. 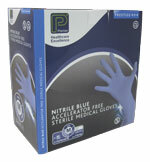 Users find Micro-Touch® sterile a very comfortable glove, and donning is easy even with damp hands. An interior polyacrylate coating makes the glove even softer, while the textured fingers provide a safe grip when handling instruments, even with damp hands. Powder-free and with low levels of protein and residual chemicals, they minimise the risk of Type I allergies. Gammex® Latex gloves provide a secure grip on instruments for easy, sure handling in both wet and dry conditions. Grip is supported by the micro-rough outer surface, manufactured using our proprietary textured former combined with closely controlled dosage in the final chlorination stage. The glove's very low latex protein and chemical accelerator residue content is achieved through lengthy leaching processes and post-production washing cycles, while formulation is safe on skin, as it is free from thiurams and MBT (mercaptobenzothiazole). Donning is made easy, even with damp hands, thanks to the water-based synthetic inner coating. The adhesive band at the top of the straight cuff allows for a secure hold on the surgical gown: this efficient design relieves pressure on the forearm while operating. 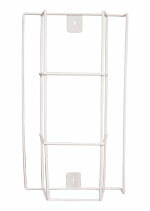 If you require Gammex Sterile Powdered, please enquire with our sales teams and we will source them for you. Made from a laminate of high-tech latex to which is bonded a thin inner coating of acrylate terpolymer. 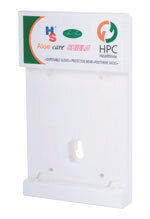 The smooth inner surface allows for easy donning with damp or dry hands without the need for a powder lubricant. All Biogel gloves undergo individual air inflation inspection and have a beaded cuff for security around the wrist.